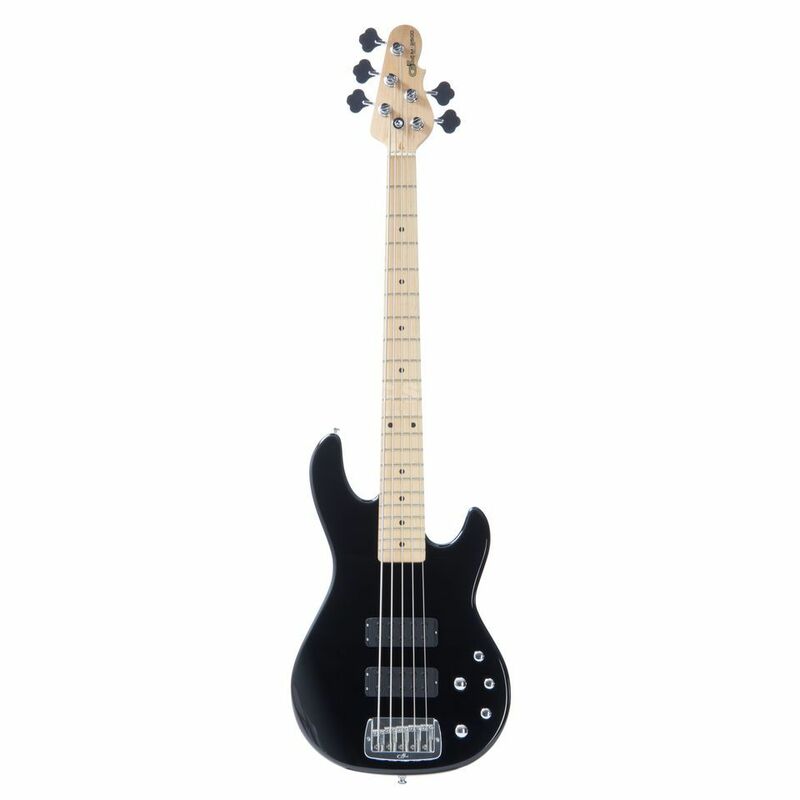 The G&L Tribute M-2500 5-String Bass Guitar Black from the M Series of basses is a tribute to founder Leo Fender’s vision of the future for the electric bass which he invented so many years ago. Leo’s MFD humbuckers have always been the heart of the iconic L-Series. In the all-new M-Series, these powerhouses are voiced to fully exploit a studio-quality 18v preamp system specially designed for them. With an LF442 chip, 100v poly caps, 1% metal film resistors and big, fat signal traces on the mil-spec circuit board, this preamp reveals everything the player and the instrument have to offer. Other feature includes volume and pan controls to explore the full range of sounds available between the two pickups, three-band EQ with peripherally placed, centre-detent and reduced-diameter knobs. The M-2500 is finished in Gloss Black over Basswood with a clear satin finished Maple neck, Maple fingerboard and Leo Fender designed bridge.